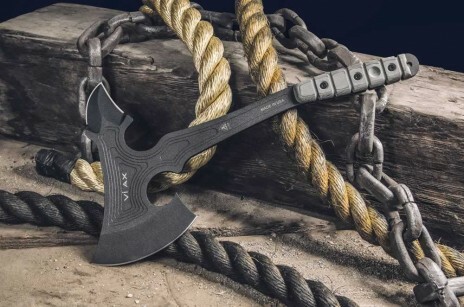 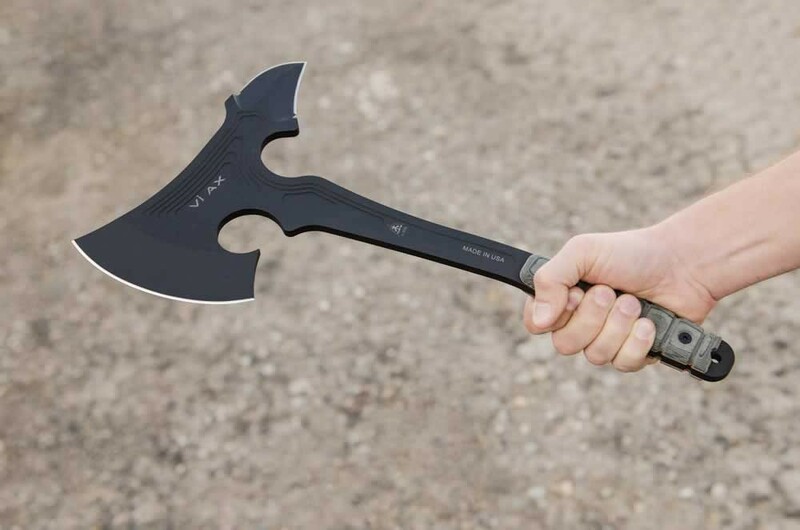 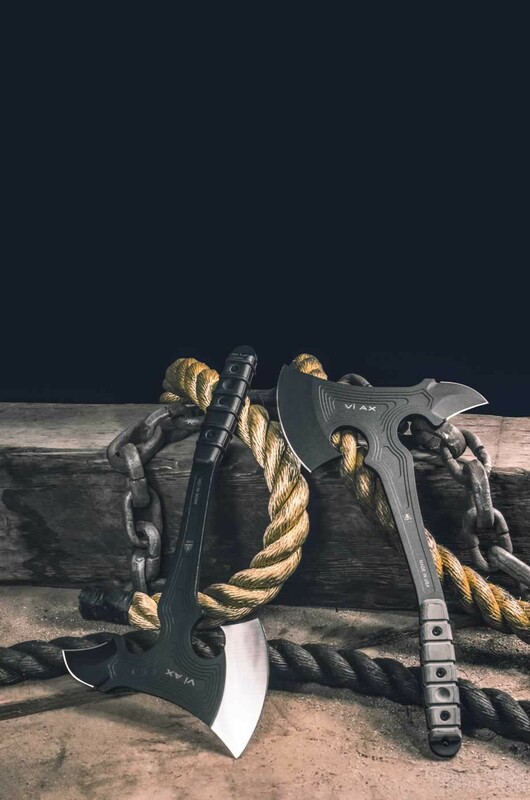 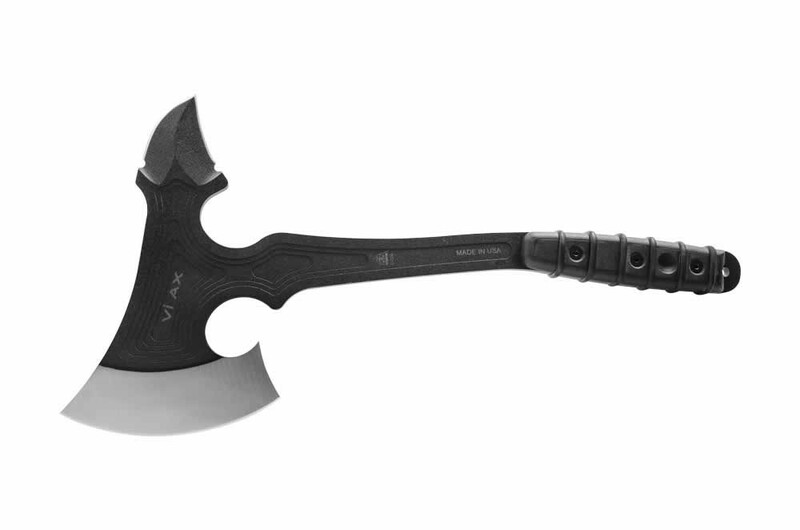 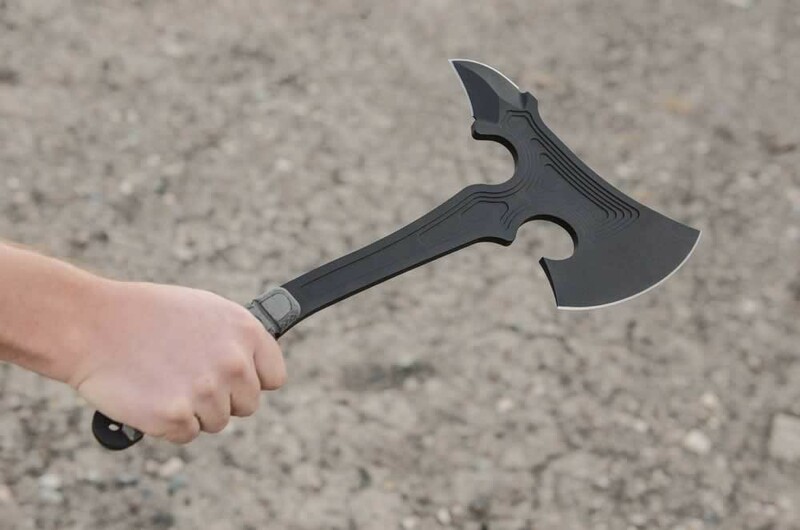 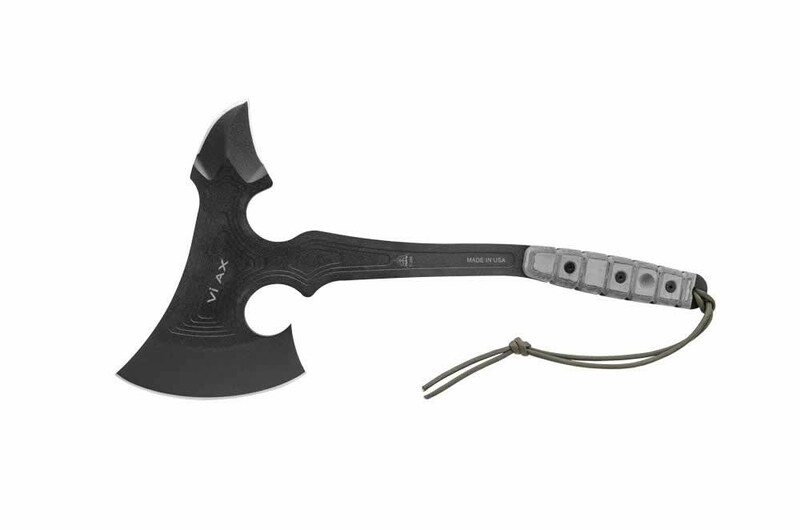 The VI Ax is a tool that any Viking would be proud to wield. 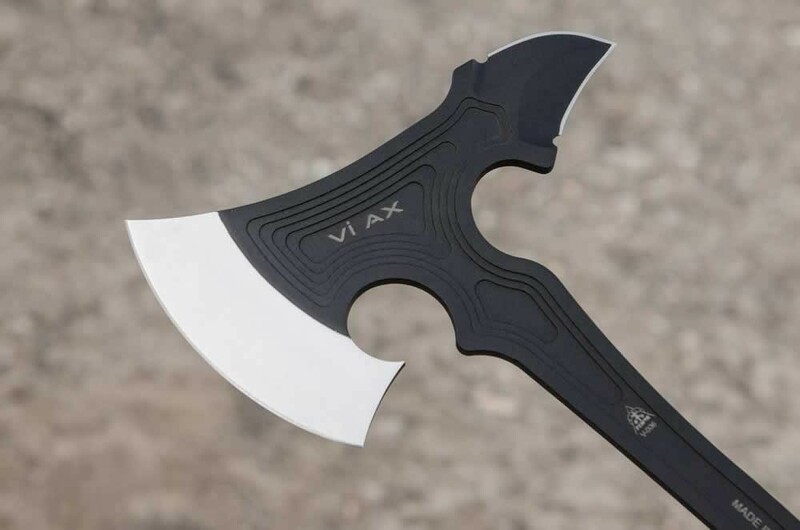 The VI Ax, short for Viking Ax, was designed by Leo Espinoza. 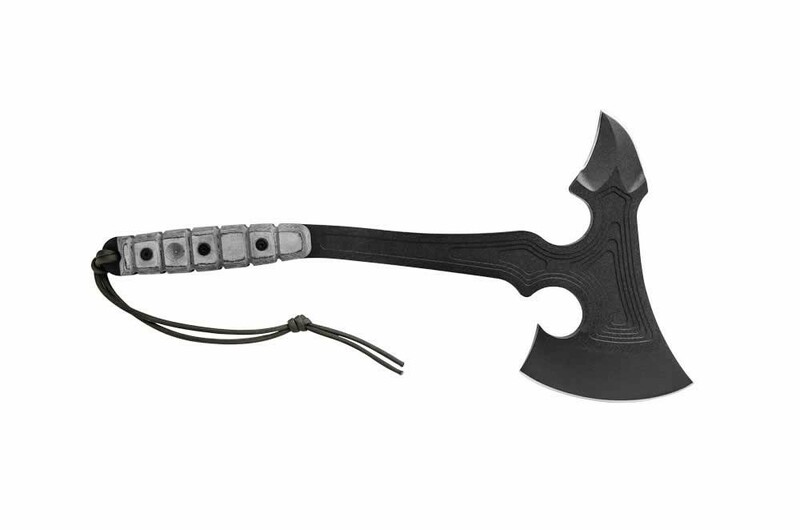 While it has some similarities to actual Viking axes, Leo added his own flair to the design and it became something totally different. 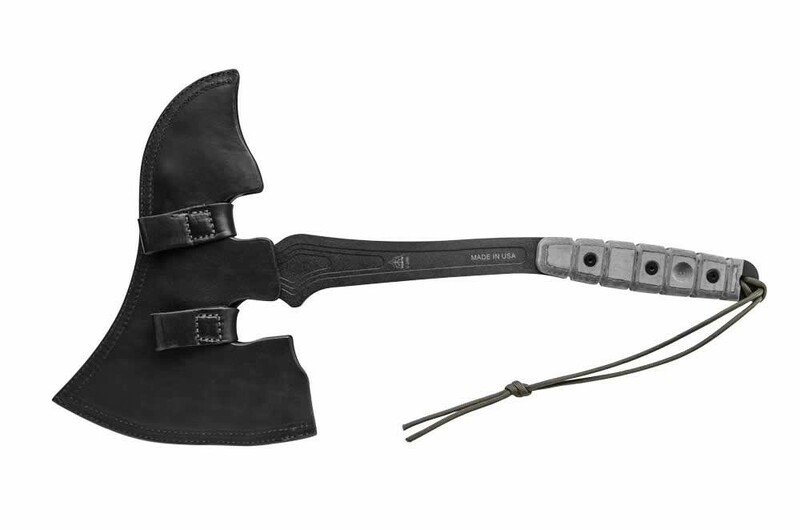 It is made from one solid slab of 5/16” 1075 instead of the usual 1095. 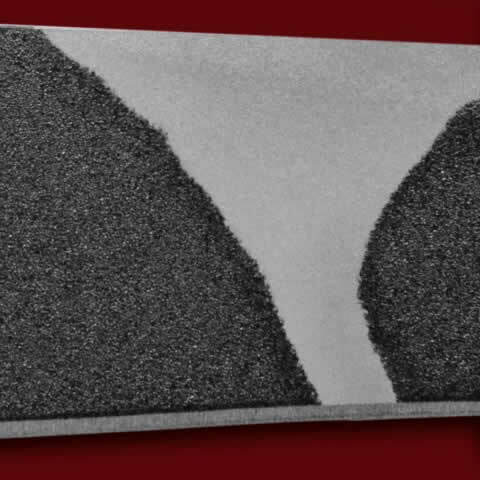 This was to provide better impact resistance with only slightly less edge retention. 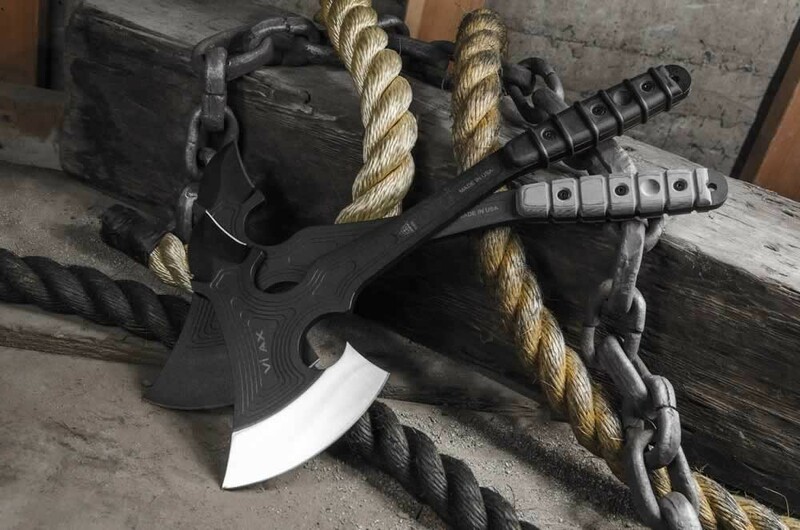 Its large 5.25" blade will chop through just about anything you put in front of it. 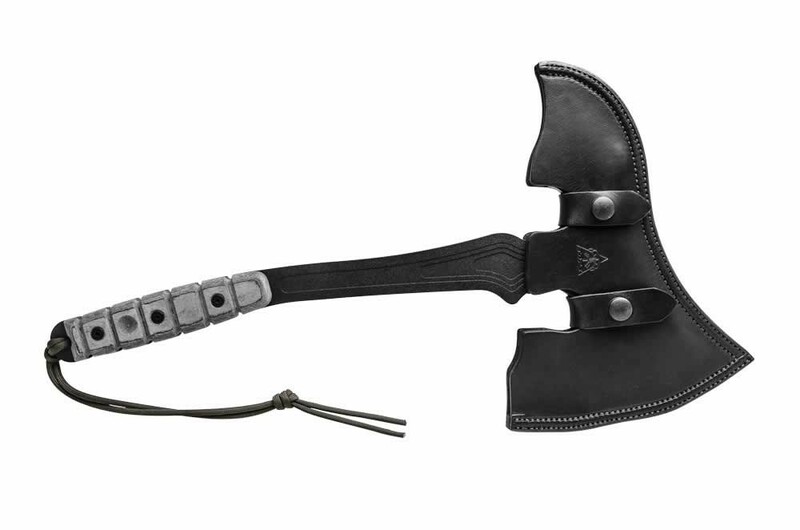 The spike on the back is double-edged to provide maximum damage (2.18" on the top side, 1.88" on the bottom). 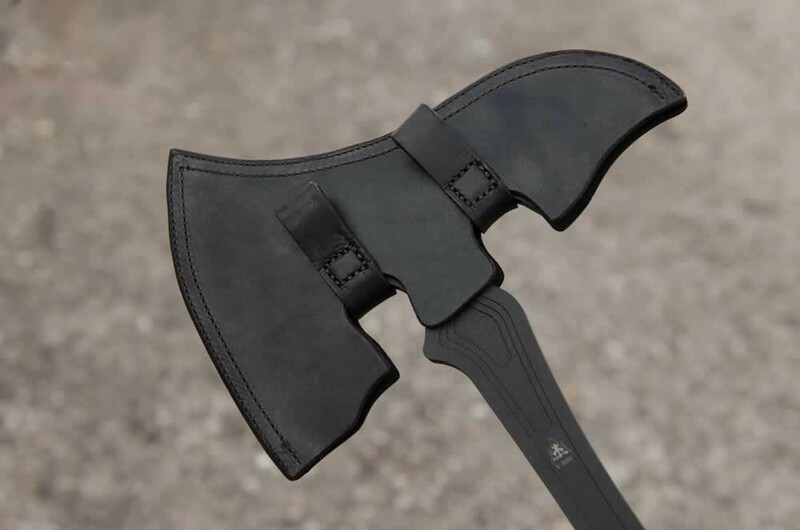 The long handle with grippy Black Linen Micarta gives great reach and power with every chop. 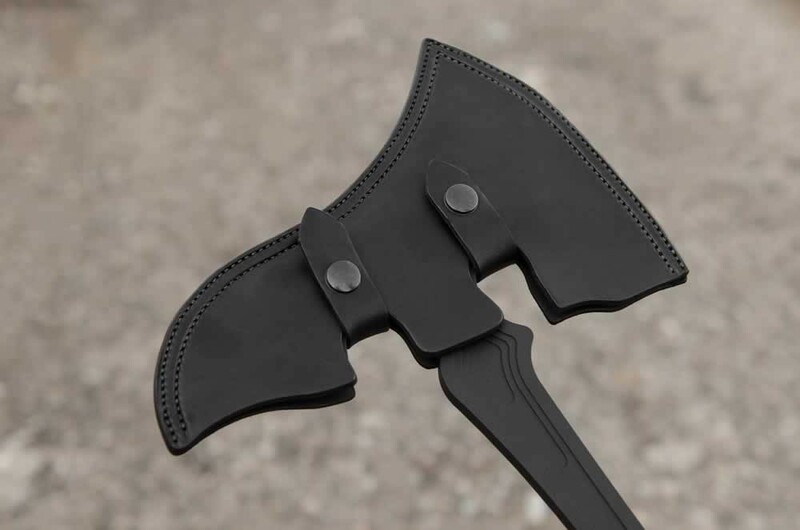 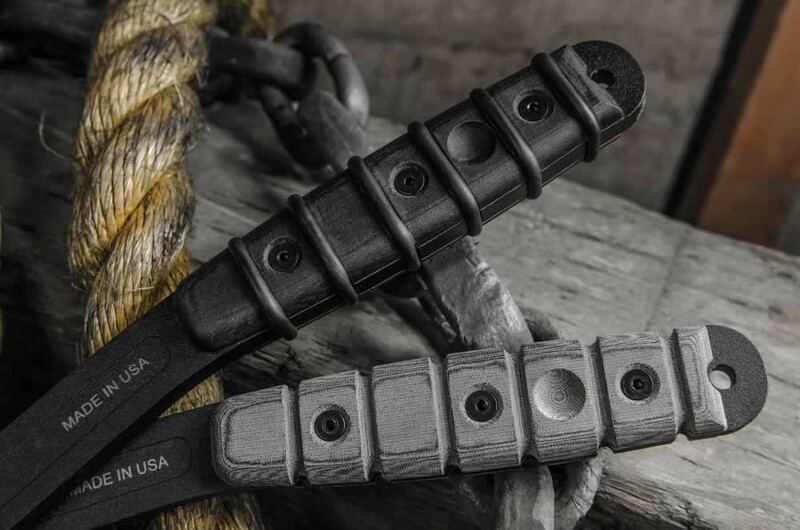 A high quality black leather sheath is included with two snaps to secure the ax in the sheath. 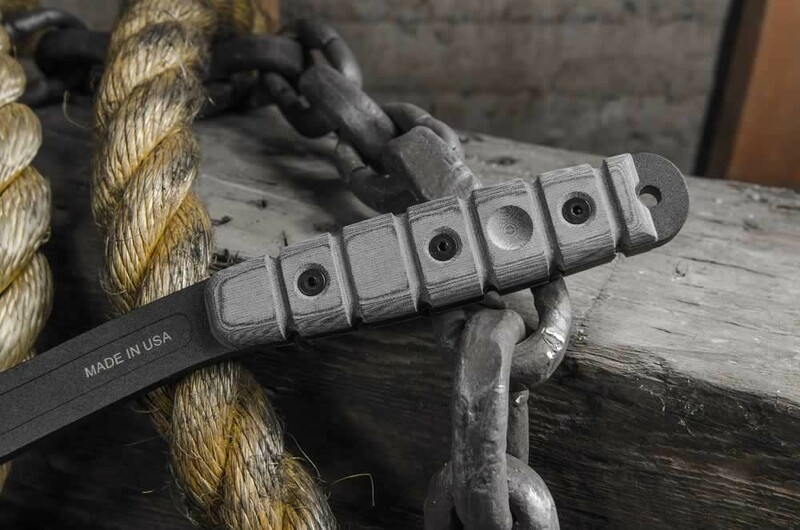 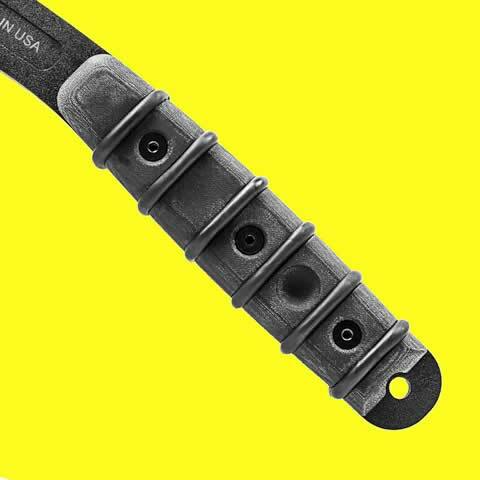 The sheath was designed simply as a blade cover, not as a belt sheath (for safety reasons). 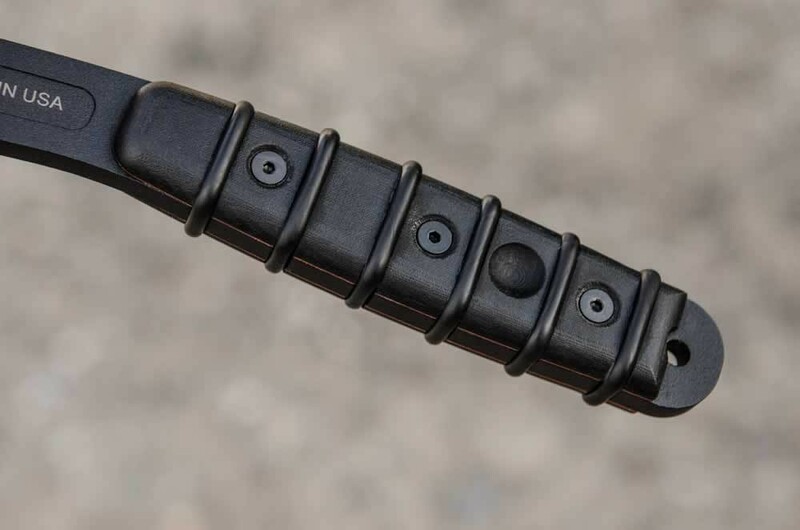 There are small loops on the back that can be used to secure it to a pack or other MOLLE gear. 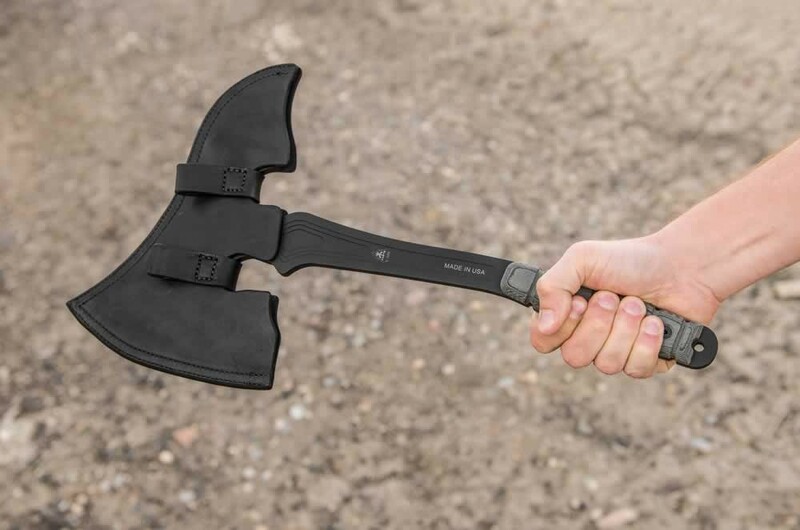 Take this with you on your next camping trip, put it in your bug-out-bag (if it's large enough for this), or leave it in your vehicle for easy access. 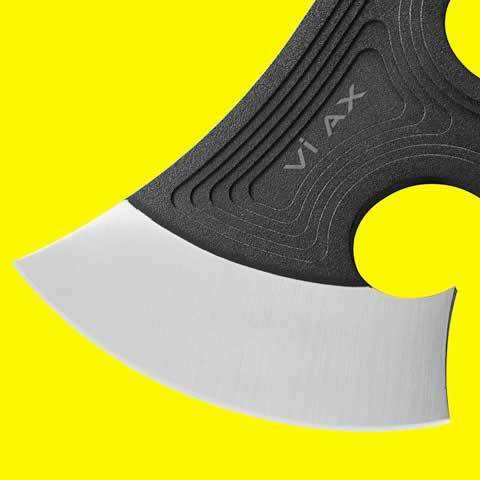 The Vi Ax will come in more than handy when the time comes.